Join us for an action-packed day of skiing and snowboarding on a Sunday in mid-late February at Bryce Resort in Basye, VA.
Bryce is a very family focused ski hill that is far less crowded than some of the other local ski areas. 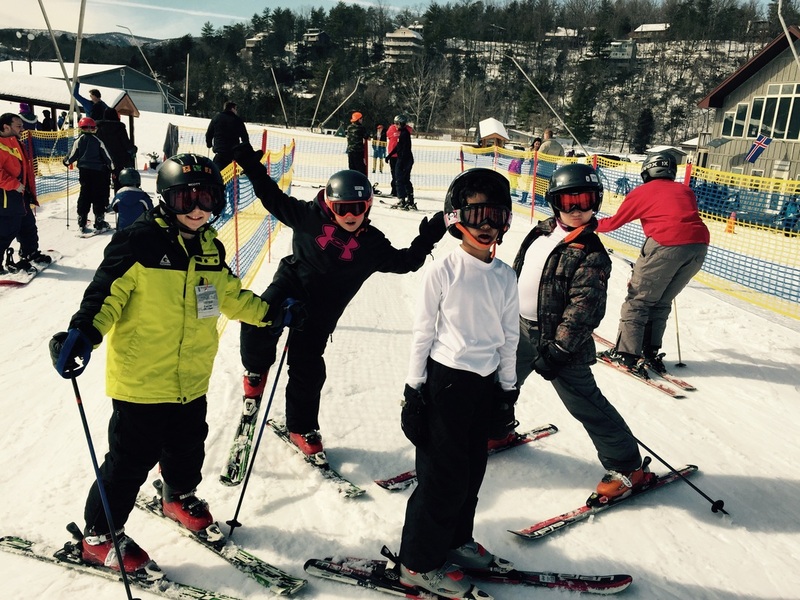 Bryce offers a great experience for the whole family from skiing, snowboarding, or tubing to sitting in the slope side restaurant or bar and watching the action! Bryce offers skiing and snowboarding on 8 unique trails, 5 lifts (including a new quad chair), and great customer service, all to provide an excellent family focused experience to all guests. Our trip includes great group rates for options including: 8-Hour Lift Ticket, Ski or Snowboard Equipment Rental, First time Ski or Snowboard Package (Includes equipment rental, a 1 ½ hour group lesson, and an all day carpet lift/slope use ticket. ), and Tubing. For kids aged 4 to 7, Bryce has a great "Kinder School" program that is run twice a day. The sessions are 2 ½ hours in length and include lessons, equipment rental (including helmets), snacks, and indoor activities. Kids 6 and 7 years old can also choose to snowboard in Kinder School. Bryce does not offer a group program for Kinder School, please make a reservation for your child directly on Bryce's website. • Take I-66 west to I-81 south. • Exit I-81 at exit 273 (Mt. Jackson). • Turn east (left) on Rt. 292 to Rt. 11. • Go south (right) on Rt. 11 to Rt. 263. • Go west (right) on Rt. 263 for 11 miles to the entrance of Bryce Resort on your right. Follow road to stop sign; parking in front of the Bryce Resort Lodge is straight ahead.